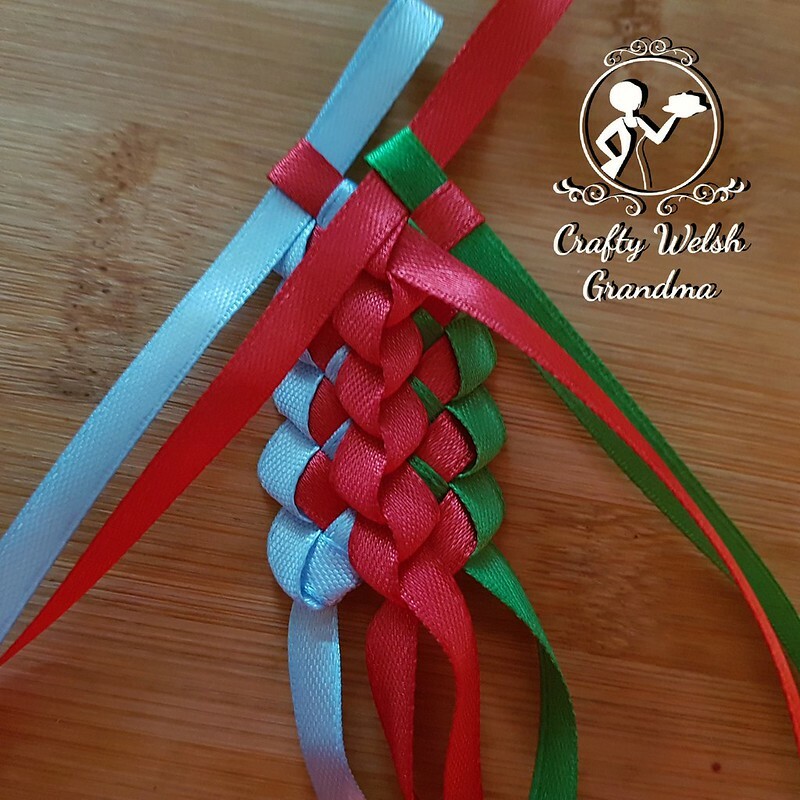 This beautiful, five foot long double braided ribbon lei / handfasting ribbon will be used for the handfasting ceremony portion of the May wedding. Although not legally binding, that part of the wedding will be done earlier, the couple wanted this traditional, Pagan ritual to be carried out at the end of the legal part of the wedding, in order to unite them in the ways of the groom's family tradition. The handfasting will be carried out by a Hedgewitch Elder. The Bride and Groom chose three colours, that were of significance to them. 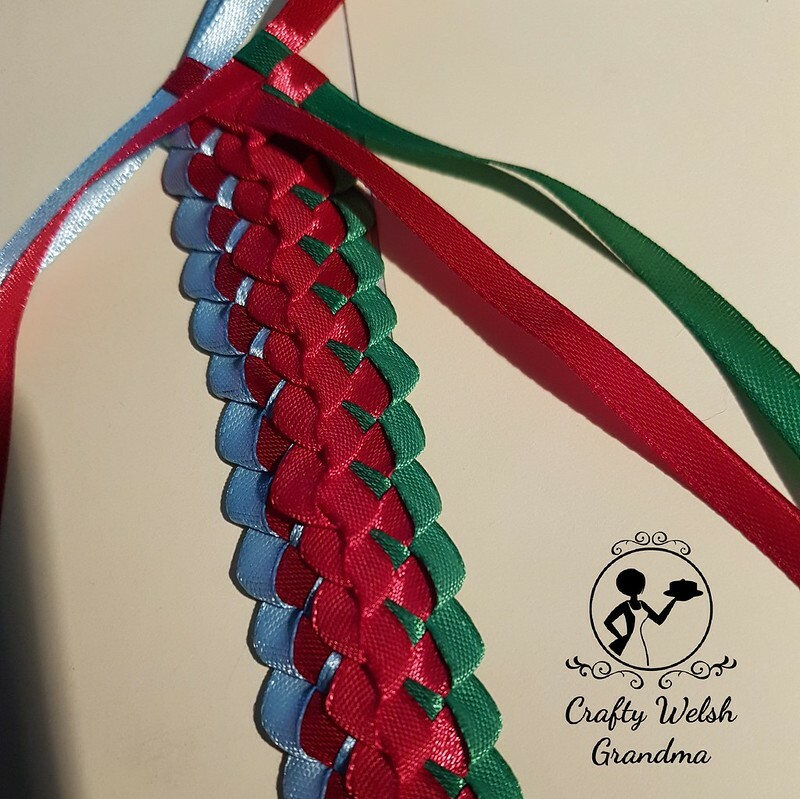 I could have left them as they were, lose ribbons, for the couple to have tied together on the day, but I wanted something far more memorable for them and decided that, twined together prior to the handfasting knot being tied, would be far more special. 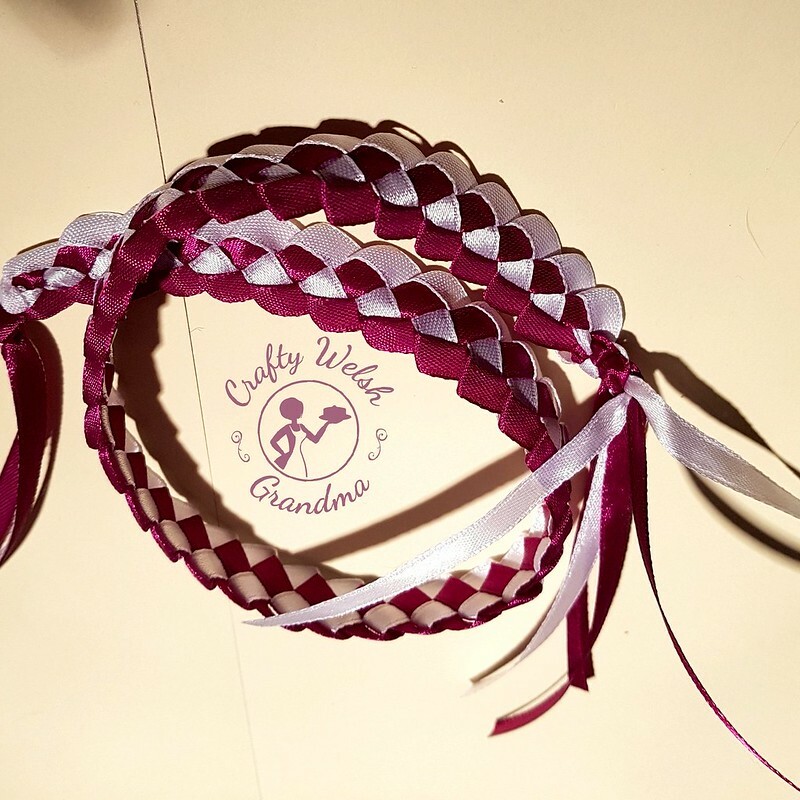 I could also have simply plaited them together as there were three colours, but again, I wanted something more special for the bride and groom, and to ensure they had a wonderful keepsake. I decided, with the blessing of the bride and groom, to create a long lei from their ribbons. I had only ever made one from two lengths of ribbon, but needed to incorporate all three ribbons. 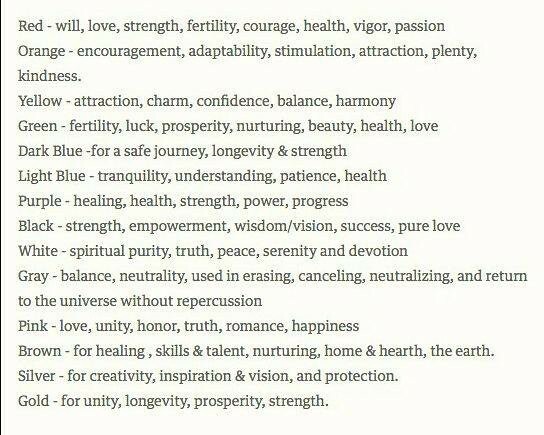 Their significant colour for them was red. So I had one length of blue, one length of green and two lengths of red. Starting off was a nightmare for me and I undid it many times. I did not want it to be made with frustration, I wanted it made with peace and calmness. Once I successfully passed the start and got going, it was as easy as I had hoped and, before you know it, the lei was 60 inches long! Perfect! I could write a blog on how to make one of these, but, instead, I'm going to give a shout out to the instructional videos that helped me. 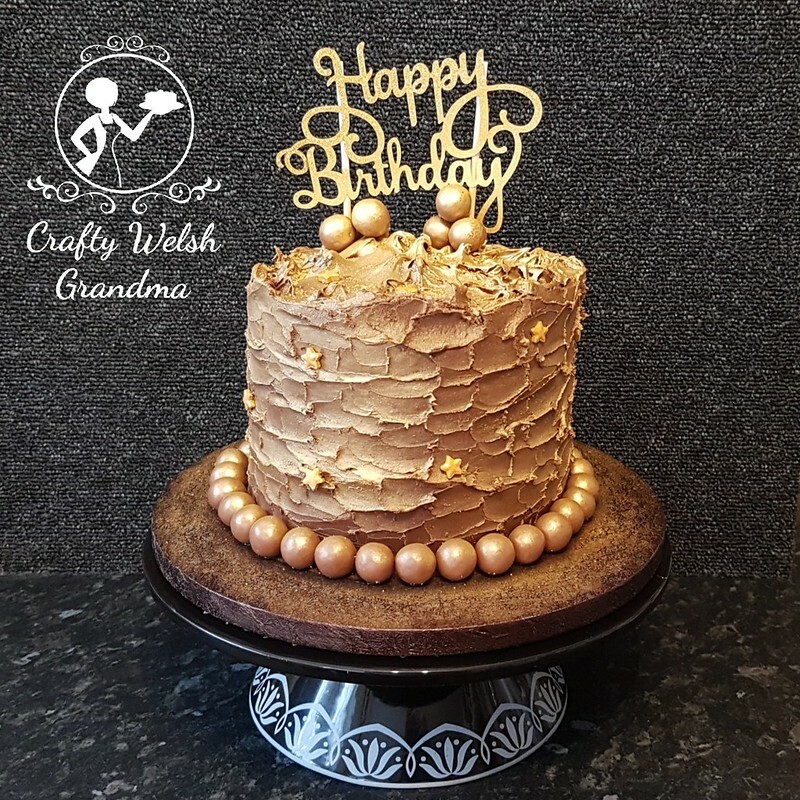 Full instructions, with images and very helpful videos, can be found on The Artisan Life website. All that's left to do now is, add some embellishments to the ends of the ribbon and cleanse it in time for the handfasting.